It’s no secret that moving is a headache. You need to purchase packing supplies, change your address, clean your current home, and more. Luckily, technology can make the process less painful. Whether you’re choosing the best mover or expertly packing your belongings—there’s an app for that. Read on for useful apps to help you streamline your moving process. Book, manage, and pay for your move all within the Unpakt app. No need to fill out multiple request forms or call different movers for quotes. Simply enter your move details into the app to see moving prices in several cities across 37 states. Hire a mover via Unpakt online or on iOS and Android. Get your home or apartment ready for the move by hiring a Tasker to complete home repairs, deep clean your home, and disassemble your bed frame. Services are available in most major cities. Get your chores done with TaskRabbit on iOS and Android. Take pictures of your new home or apartment before your move, and use them to create detailed floor plans with MagicPlan. These floor plans allow you to view your space in 3D, decide where to put your couch, and plan DIY projects. Visualize your space with MagicPlan on iOS and Android. Plan your move with Wunderlist, a to-do list web app. Create to-do lists, set deadlines, schedule reminders, and share your list with friends and family helping you move. You can also assign tasks to people you’ve shared your to-do list with. Make your to-do list online with Wunderlist. Pack with the help of Sortly, a digital organizer. Use the app to take inventory of what you packed in each box so you know where to find your wine opener, your favorite jeans, or your drill. With the premium account, you can create QR code labels for your boxes, access your account online, and export your lists via PDF and Dropbox. Pack like a pro with Sortly on iOS. Determine your ideal internet speed with this web app. The tool also shows internet providers in your area that offer your recommended speed—helpful if you’re moving to a new area. The internet speed you need will vary depending on how you use the internet. You may need faster speeds if your kids play video games, if you recently upgraded to a smart TV, or if you run an online business from home. Determine the speed you need online with the Internet Speed Need Tool. Order late-night meals, cleaning supplies, basic toiletries, or lunch from virtually any store or restaurant in your city. Postmates will deliver the best your city has to offer right to your doorstep—saving you a trip while you’re busy unpacking. Postmates is available in over 200 cities. Start receiving deliveries through Postmates on iOS and Android. Socialize with your new neighbors on Nextdoor, a private social networking app that over 145,000 neighborhoods use to stay connected. Find a babysitter, learn about a rash of car break-ins, and hear about neighborhood events all in one place. Meet your neighbors through Nextdoor online or on iOS and Android. Hire house cleaners, interior designers, carpet cleaners, painters, home security companies, and more, with Thumbtack. Find professionals—in all fifty states—for anything you need in your new home or apartment. Hire a professional via Thumbtack online or on iOS and Android. 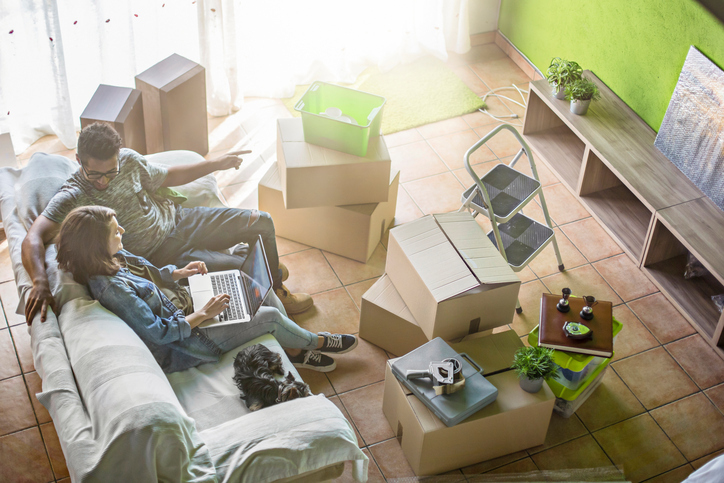 While these apps might not make moving completely pain-free, they can help you get your home ready to move, hire the best mover, and find services in your new neighborhood. Whether you’re moving down the street or across the country, technology can help you save time, money, and energy. Great list of apps indeed. I just want to say thanks to the one who recommended the website; it’s been very helpful to me. And now and I’m happy. Thank you so much for this useful amazing article.Thank you so much for this helpful information. You share moving apps list it;s a very useful for moving. I am happy with your blog. Easy way to find moving company, moving tips, etc.I found this much helpful. Thanks for such post and keep it up.